We all crave for flawless and bright skin that will not only enhance our beauty but adds oodles of confidence and personality. To achieve this objective, most of us spend lots of money and time in salons, parlors and more. However, there are many simple and excellently beneficial ubtans that can gift you the perfect skin within few days of usage, that too without even feeling the pinch on your pockets. To define ubtan, it can be described as a mixture of domestic items that are easily available in our kitchen and household things. Ingredients such as sandalwood, turmeric powder, gram flour (besan), milk, yogurt, honey etc are mixed together to make a pack which is amazingly beneficial for flawless skin. Why Ubtan Is Good for Skin? 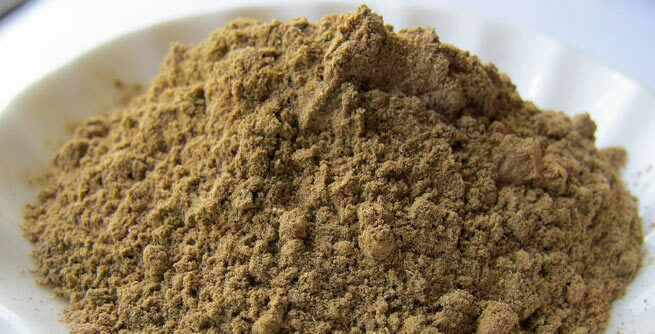 History reveals that ubtan has been used since many ancient years for beauty and glowing skin. Made from all natural items, it can be used on all types of skin without fear of any side effects. Moreover, you do not need to use these ubtans regularly; once in a week is enough to get glowing skin tone. • It improves the blood circulation as you massage your skin in circular motion. • It helps retain the moisture and brightness of the skin perfectly. • It removes the dead skin cells that blocks the pores and brings out a natural skin clarity. • It suits every skin type without any side effects. 1. For oily skin: If you have oily skin, you should opt for an ubtan that helps reduce the greasy effect on your face. Take some curd, besan (gram flour) and haldi (turmeric powder) and mix together to make a fine paste. You can even add some drops of lemon juice in it for better effects. Apply it evenly on your face and neck; allow it to dry for at least 20 minutes. Remove the ubtan by massaging your skin in circular motion, giving you a glowing and soft skin instantly. 2. For dry skin: When preparing ubtan for dry skin, you should try to add ingredients that will hold the skin’s moisturizer for long. Opt for besan, rose water, honey etc to make a semi thick paste and apply it on your face. Leave it for 20 minutes and then massage with finger tips in circular motion. Finally wash off with cold clean water. 3. For normal skin: Having normal and balanced skin type is considered as a huge advantage. While preparing ubtan for normal skin, you can include any ingredient to make it more effective such as banana, besan, honey, yogurt, rose water, turmeric powder and more. Follow the same process of application and massage as stated above to get lustrous and radiant skin.